There’s a new, exciting Kickstarter around: The Pen Rest. This might be just the right thing to rest some of the nicer pens and pencils on. 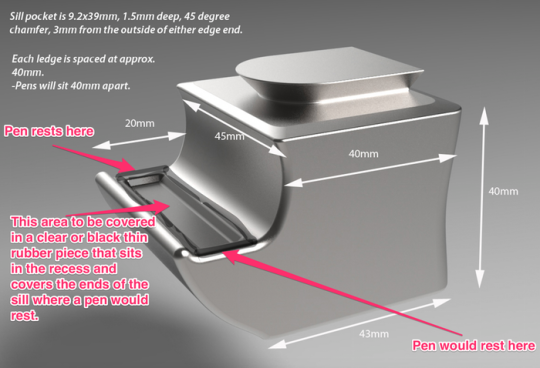 I do hope it will be made ..and that the soft cover stretch goal will come though as well – for pens with a more sensitive surface, like many fountain pens.